Are you eligible for a Pell Grant? Pell Grants are need-based awards of government money for education. They are different from government student loans because they are essentially free money: you never have to repay them! Another big plus is that you don't have to compete for Pell Grants – if you qualify based on the questions below, you get one. One important caveat: if you're trying to decide whether to go after a Pell Grant and go to a particular school, don't be discouraged if you see recent Department of Education reports on the graduation rates or Pell Grant recipients at that school. According to a recent U.S. News and World report, that number is apt to be incorrect and much lower than the actual graduation rate. For example, the Department reports Boston University as having a 25% graduation rate for those who receive Pell Grants, while the school itself reports a rate of 84%. Update March 2018 Want another great reason to apply for a Pell Grant? Some first rate colleges are making a greater effort to accept and enroll more lower incomes students. In the past, for instance, colleges overall have tended to have about 30% Pell Grant students, whereas Princeton University had 20%. Now Princeton and other schools, partly supported by Bloomberg Philanthropies, are working to change that. This year Princeton will accept transfer students from community colleges for the first time ever. They and others use Pell Grants to identify what students they identify as lower income. So even if you don’t think you will qualify it could be well worth your while to apply (i.e., fill out the FAFSA)….and maybe an “elite” college will seek you out…. Students who receive Pell Grants — according to expert — can have a tougher time graduating than other students. This is not surprising as they may not have had the same college preparatory courses others have, they don’t have as many sources for advice about college life, and they may even be the breadwinners for their family. So experts also advice that they take a close look at the graduation rates of Pell Grant recipients at the colleges they consider. Two top colleges where Pell recipients had a higher graduation rate than those who did not receive the grants are Dartmouth College in Hanover, New Hampshire and Johns Hopkins University in Baltimore, MD. Udate July 2017 Pell Grants got an extra boost in their appeal earlier this year when Congress passed a bill allowing students to use Pell Grants year-round. This is a big deal since it improves your chances of being able to graduate in four years. It’s estimated that an extra year of college required to gather the number of credits needed to graduate can cost students close to $70,000 considering direct costs and the opportunity cost of not earning a salary that extra year. So get your application in as early as possible and once you’re in college take as many credits per semester as you can handle — studies show that those who take 15 credits the first semester and 30 credits the first year are much more likely to stay in school and finish in four years. Good news for students who got caught in the closure of for-profit schools accused of misleading prospective students! The Department of Education has announced that they will grant eligibility to those who attended those schools (like ITT) but did not get to graduate. Their time at those schools will be erased in terms of their records regarding financial aid. This will make it much easier to get additional aid in order to finish their schooling elsewhere. Students can get a maximum of six years of aid so this move will allow students to start with a clean slate and get their full benefits. News December 2015 Great news: Test programs initiated by the Obama administration and the Department of Education have been successful and will be available in 2016. Pell Grants will be available for students in high school who take college courses for credit. Last year over 1.4 million students took such courses, which can help them finish college faster and lower their overall cost of tuition. The Education Department expects to give out as much as $20 million for the 2016-2017 school year, helping about 10,000 high school students. The Department of Education announced Friday that it will make Pell grants available to high school students taking college courses for credit, the latest development in what has been a series of federal student aid experiments. Did you know that the 2018-2019 maximum for a pell grant is $6095? Regarding the family income level that generally qualifies, it is typically under $40,000 per year. But family income is not the only criterion considered, not by a long shot. They also consider where you live, the assets your family has, if one or both of your parents work, how many people live in the household, and more. So never decide not to apply because you just don't think you qualify. You could definitely be leaving money on the table. Plus remember that some top colleges are using Pell Grant awards as indications of low income students they want to attract to their school. 1. Are you an undergraduate student? 4. Have you filled out and submitted your FAFSA application? 5. If male, are you registered with the Selective Service? 6. 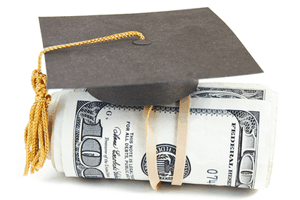 Are you already receiving a Pell Grant? If you can answer “Yes” to the first five questions, and “No” to the last (you can only have one Pell Grant at a time), then you may be eligible and you should check out our Pell Grants page. In fact if you answered yes to question #4, you have already automatically applied—but the rest of the quiz will tell you if you even have a chance to win a Pell Grant. To investigate Scholarships, look at Scholarship Information and—for those who may not be at the top of their class—some very interesting Scholarship Contests that do not require a specific grade point average. Don't Qualify? There are still lots of other options for finding money for college – and there's even some “free money”! Check out our latest article about Grants for College. The University of Southern California recently achieved its highest ranking yet in the Wall Street Journal/Times Education Survey of over 1000 colleges and universities in the United States. It came out at #15, one of only two (including Stanford) of two Pac-12 schools which rank in the top 25. (UCLA is #26 and UC Berkeley 37…). Of interest to us is that one of the metrics used to measure rank is whether the student body is diverse and also whether the graduates are likely to succeed in well paying jobs and pay off their student debt. They cited the fact that USC’s rank was higher partially because they have a high percentage of students who are Pell Grant-eligible and are first generation students. So this is a good measure to know if you are considering schools — the higher the rank the more likely you as a graduate will succeed after you graduate. News July 2016 Starting with the 2017-2018 school year several changes have been announced. You will now be able to apply as early as October 1, 2016 (rather than waiting until January 1 2017). And be sure to apply as early as possible as that can mean larger financial awards. Also, when you apply you will be able to use tax information from an earlier year. Your application will call for tax info from 2015 rather than from 2016. So be sure to hop on this early! News April 2016: The federal government has announced an increase in the maximum amount of the Pell Grant. For the 2016-2017 school year that number will go up to $5815. The school year starts July 1, 2016 and goes to June 30, 2017. Of course the amount you actually receive depends on many factors including the cost of the school you’re attending, whether you are a full time or part time student, your level of financial need and whether you’re attending school for the full or partial academic year. News November 2015: Beginning in the fall of 2016, high school students will be able to apply for Pell Grants to help pay for their participation in “dual enrollment” programs. Low income students taking early college courses will now be able to apply for these important grants to pay for tuition, books and fees! Stay tuned as the availability date gets closer….. and check out Pell Grants for more details on the new program. News October 2015 The Department of Education has just announced a new program that will open up federal student aid and loans to more people. Until now such aid (including Pell Grants) has only been available to those attending accredited schools. Now students attending experimental offerings like computer coding bootcamps and other short term, intensive programs will also eligible. These “career accelerators” could be a great opportunity not only for young adults but also for older, mid-career adults looking to expand their options. It’s not yet clear when the program will be open for applications or what the approval procedure will be, but stay tuned for new developments - and follow us on Google Plus for updates. Pell Grants for Prisoners? President Obama has proposed making those incarcerated eligible for Pell Grants. The plan calls for a 3-5 year “test” to see if recidivism decreases as a result. The plan has drawn praise from some and criticism from others – including families borrowing heavily to put their kids through school. Regardless of objections from some in Congress their approval may not be necessary. Since the plan is termed as a test, or experiment, they could enact the plan by simply waiving the current ban, thereby bypassing Congress. News update on Pell Grant award limits: Changes to Pell Grant award legislation increased the current maximum award level to $6095 for the 2018-2019 academic year. And remember, if you qualify you can now use Pell Grants for summer sessions and career school programs. To calculate what your equivalent receipt of awards is, you need to determine what portion of any given academic year you were actually enrolled. So, if you were scheduled to receive the maximum award of $5775 in a given year, but you were only actually enrolled for half a year, your amount of the award used would be calculated at one-half times 100% equals 50%. If you enrolled for just one-quarter of the year you would have used 25%. Your total use to date will be calculated and capped at 600% – or the equivalent of 6 years of full-year enrollment. If you are just now planning for college, this should still appear to be a very generous award program. If you have been receiving Pell money for some time, you may find yourself unexpectedly capped and ineligible for future awards. Now that you know whether you are eligible - even with the changes in the program, act fast to complete and submit your FAFSA (and remember, it's free to do that!). Ongoing negotiations in Washington regarding the U.S. budget and the amount of debt our nation can reasonably sustain could impact the amount of money available to fund Pell Grants in 2014 and beyond.